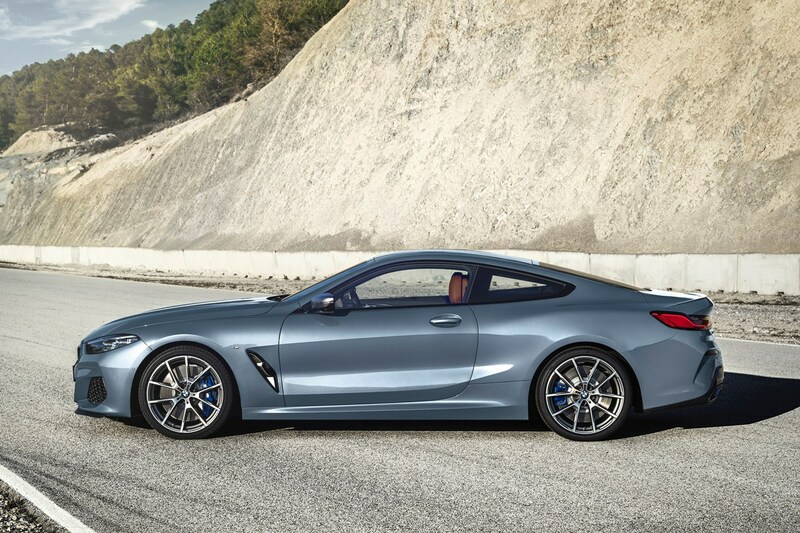 BMW’s 8 Series Coupe sits atop of the German manufacturer’s model range, taking up the mantle of flagship luxury grand tourer from the 6 Series Coupe. Like the latter, it will also be available as a convertible and Gran Coupe further on in the model’s production run. 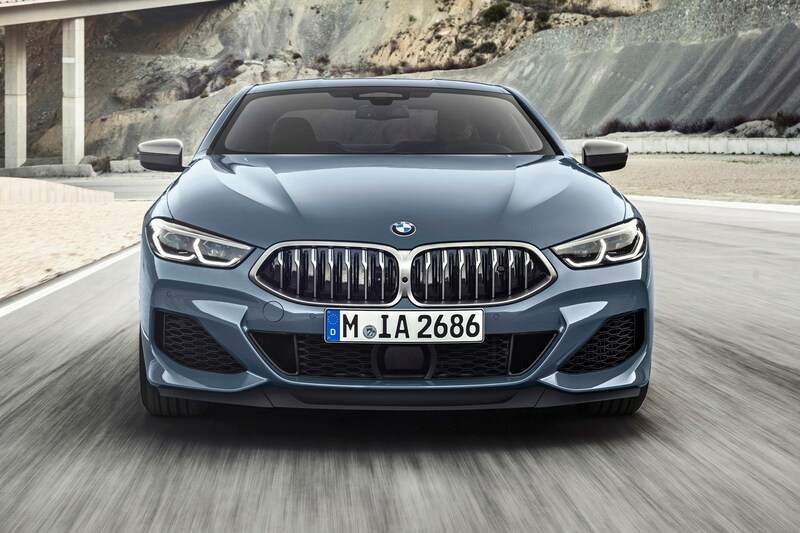 Whereas the 6 Series will be relaunched as a sportier Porsche 911 rival, the 8 Series has been designed to combine luxury and driving pleasure across the range, while a fully-fledged M8 performance version is also due within the next couple of years. Rivals to the 8 Series are many and talented. Big names such as the Aston Martin DB11, Bentley Continental GT, Lexus LC and Mercedes-Benz S-Class Coupe all feature at least in ethos, if not price. Can the BMW 8 Series Coupe stand up to such expensive competition? Interior quality is highly impressive. 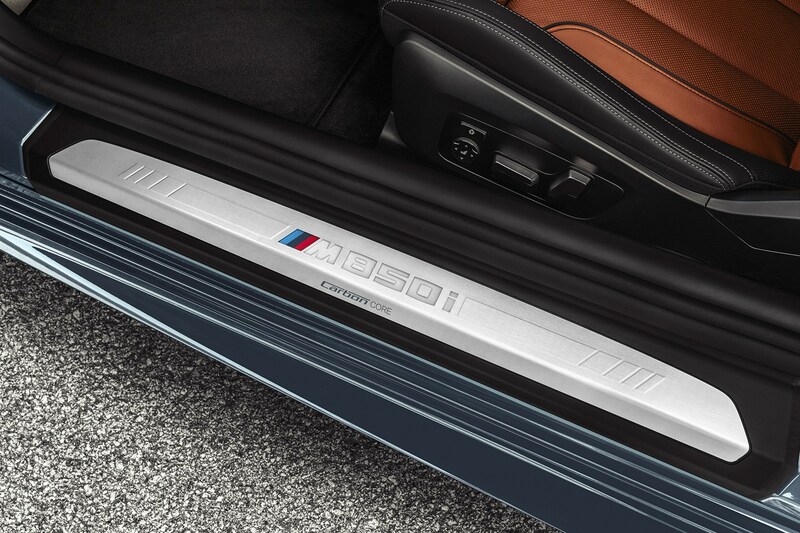 The seating position can be cranked low like a sports car, and a cut-glass finish for the gear selector and starter button help differentiate the cabin from other BMW models. 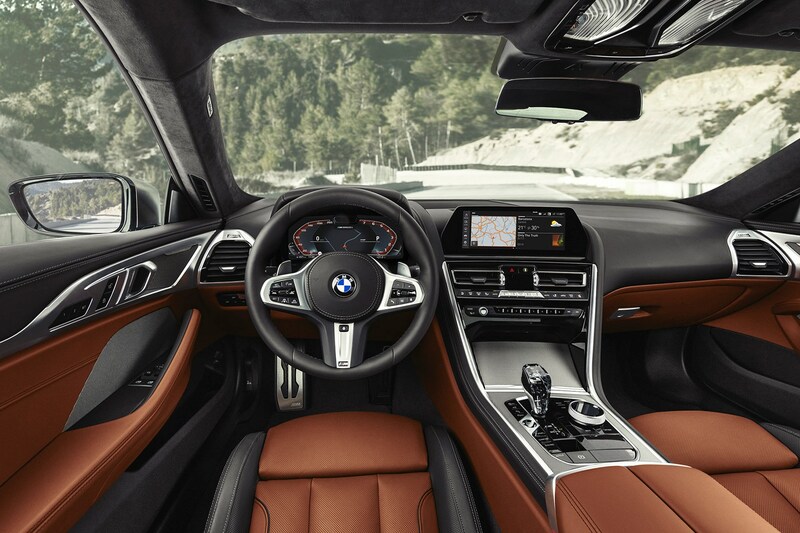 The 8 series features BMW’s latest iDrive 7.0 infotainment, capable of over-the-air software updates and the ability to be controlled by voice, gesture and finger-trace, plus regular buttons. Ergonomics are hard to fault, and you’ll quickly feel at home. Is the 8 series practical? The boot is a decent size, and you can fold down the rear seatbacks via levers in the boot to carry longer items, although the aperture beneath the bootlid is relatively narrow. 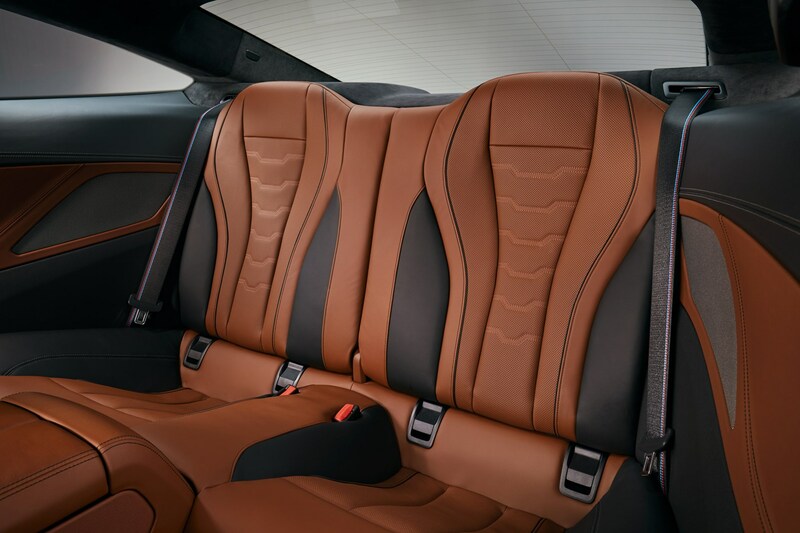 As for passengers, an average-height adult will feel comprehensively squashed in the 2+2 rear seats. They’re best suited to children, or brief journeys with forgiving passengers. There’s a choice of two: a petrol or a diesel. 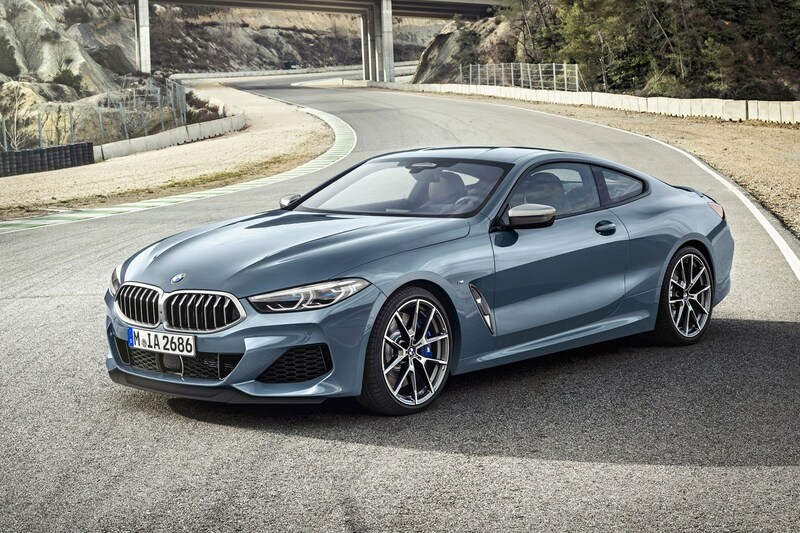 The petrol is the BMW M850i, a twin-turbo 4.4-litre V8 and the diesel option is the BMW 840d, a 3.0-litre straight-six turbodiesel. 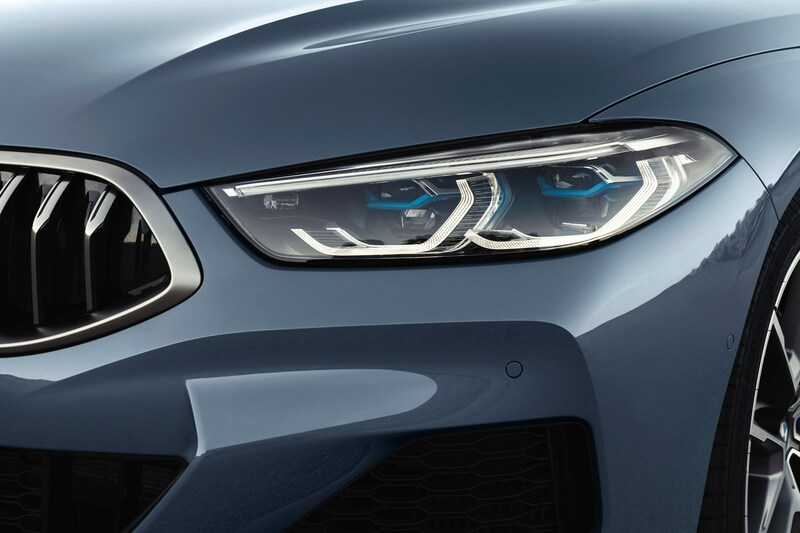 Does the M850i badge mean it’s the equivalent of an M3 or M5? No – this is an M Performance model, like the M140i or M760i – hotter than the standard car but not quite as aggressive as a fully-fledged M Division version. Think of it a bit like Audi’s S badge. Towards the end of 2019, a full-on BMW M8 will be released. It too will be available in Coupe, Convertible or four-door Gran Coupe guise. 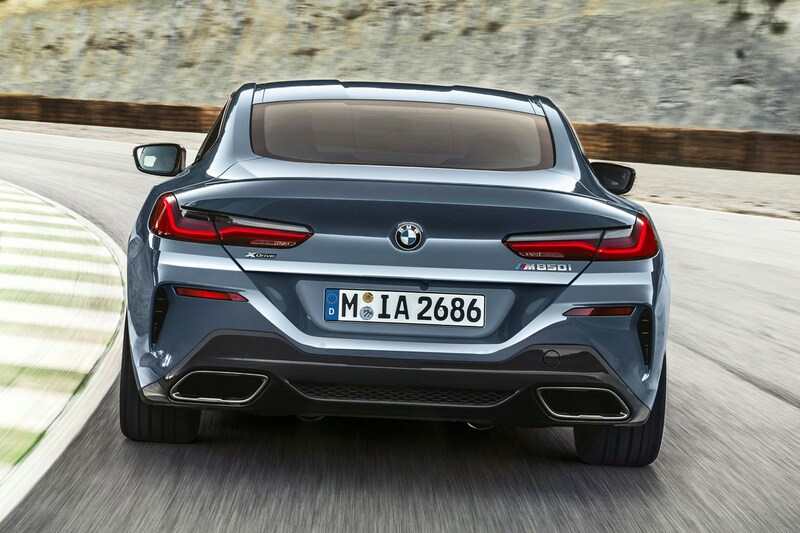 The M850i may not be a bona fide M car, but it features a host of advanced chassis set-ups as standard, including rear-wheel steering, an M Sport electronic limited-slip differential, and adaptive dampers, plus the option to upgrade the latter with something called Active Roll Stabilisation, which we’ll come onto later. But first, that new engine. Doesn’t BMW already have a 4.4-litre V8? Yes and ostensibly this is the same unit that finds service in the M550i (which we don’t get in the UK) but with about half its parts swapped out to increase power. This includes a bigger, boostier turbo, a higher-voltage ignition system, plus stronger internals to cope with all the extra grunt. BMW told us it was a prerequisite for the 8 Series to feature an engine with its own character, rather than just a recycled existing V8. That means it gains 68hp and 100Nm of torque over the M550i and crucially that latter figure is available from 1,800rpm, for effortless acceleration - something of a grand tourer necessity. Thing is, that’s the same torque offering you get in an M5, which also uses a derivation of this 4.4-litre V8. So why not use that engine instead? 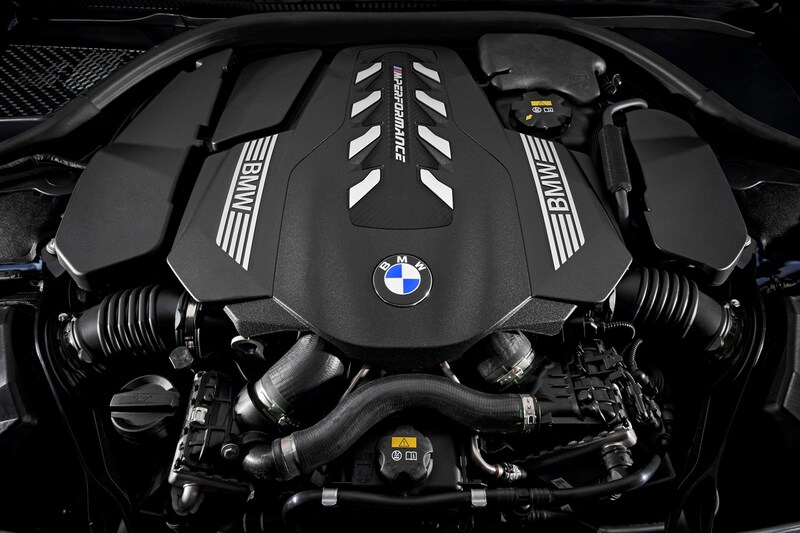 Well, BMW’s powertrain engineers said the M5 was too aggressive in its delivery, and with 600hp, left little room above the M850i for a proper M8 further down the line. 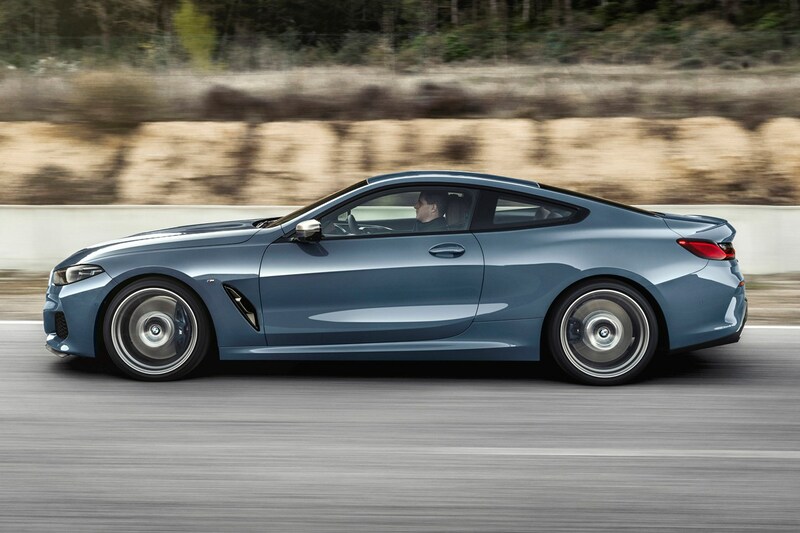 Fascinating – what’s the M850i Coupe like though? It’s entirely as potent as you would imagine a twin-turbocharged 4.4-litre V8 to be. The M850i thunders into life, then rumbles and burbles around at low speed with all the muted menace of distant artillery fire. 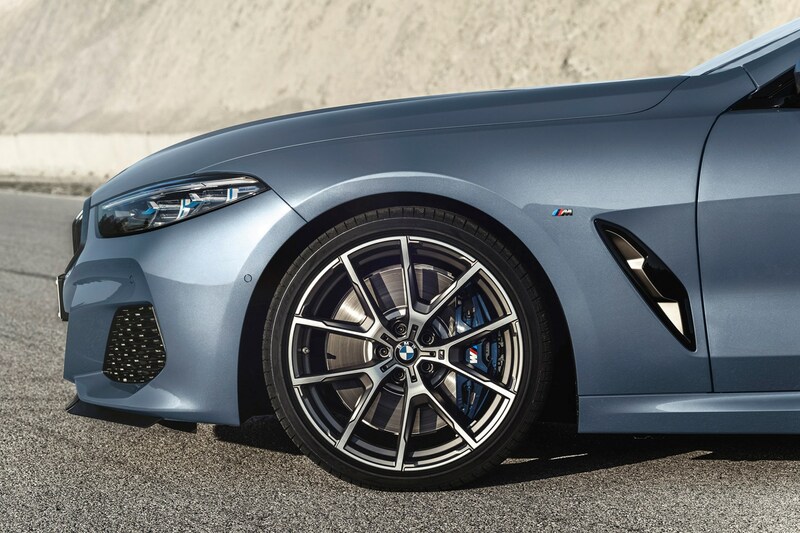 Standard-fit all-wheel drive gives the 8 Series impressive traction. On the road it proves to be flexible and forceful in equal measure. The straight-line performance is a given, but the way it pulls from virtually zero revs is the real selling point – breathtaking, effortless acceleration is never far away, and the well of reserve power feels as deep as the bellow from the exhaust, complete with the now trademark crackles and bangs on the overrun. Helping to manage all of this is a redesigned eight-speed automatic gearbox, strengthened to help deal with the increase in torque, and tuned to deliver faster shifts. It’s also cleverly linked to the brake pedal – scrub off speed gradually and the ’box will shift down accordingly. Stand on the brakes in anticipation of a tight turn and it’ll cascade down the gears, keeping the revs above 4,500rpm for a speedy getaway. The BMW 8 Series Coupe is quite a big car though, does it corner well? At first the overwhelming sensation is size – this is a wide car. Good news, then, that the steering is direct, nicely weighted and inspires confidence in the way it dials out small corrections from just off the straight-ahead position. The wheel itself feels at first like a standard BMW item – as thick as a bike inner tube and almost as squashy – but this time around the amount of padding has been cut down, so the rim itself is much firmer. 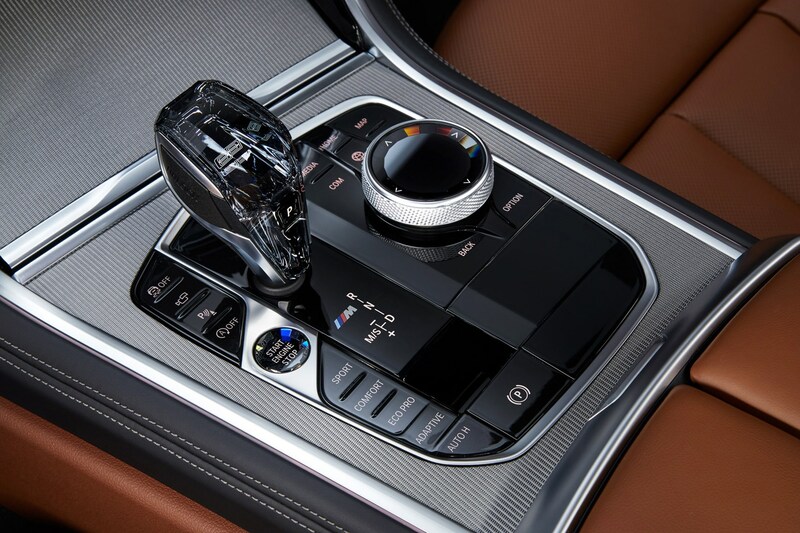 This improves feel, says BMW’s engineers, reducing the latency between your fingertips and the road surface. We start off in Comfort mode, which sets the chassis, drivetrain, steering weight and exhaust sound to its most refined and quiet set-up. It’s wafty and hushed too, the big V8 kept nicely muffled under the bonnet. Ramp up through the Sport and Sport+ modes and things quickly become more aggressive, but in an unintimidating way. Confidence grows thanks to the surprising agility added by the rear-wheel steer system, which helps you make tighter turns in town and adds stability in high-speed corners. It can feel a little odd in roundabouts at first, but you quickly grow used to it. 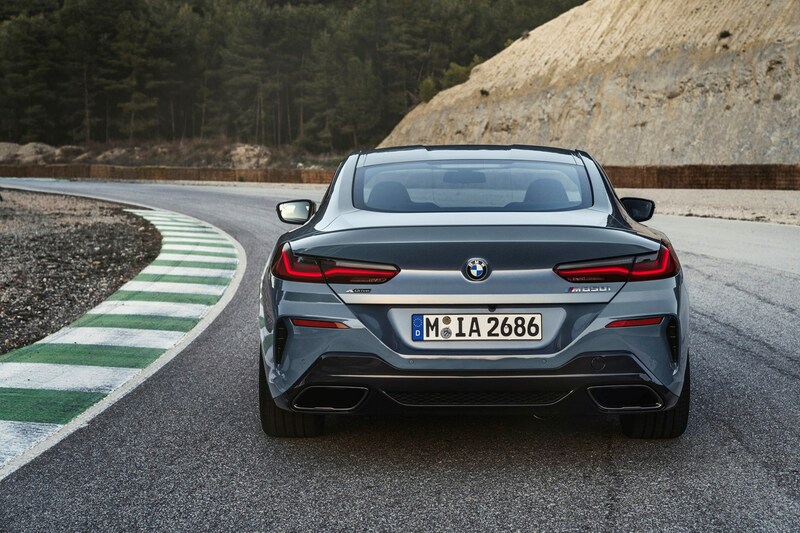 The optional M Suspension Professional with Active Roll Stabilisation endows the 8 Series with superb body control too, again helping it feel like a smaller car and increasing the keenness to turn in and carry speed. Unlike a similar system in the Mercedes-Benz S-Class, you can’t feel this working in the 8 Series. It just does. We’ve also tested the M850i on a circuit, where it could have wilted under the rigours of track driving but coped impressively well for such a large, heavy car. Its giant steel brakes remained strong throughout, and it’s a fun, fast and safe car to drive quickly. Semi-autonomous driving technology includes the new Reverse Assistant, which continuously records the car’s last 50 metres of forwards travel at parking speeds. Stop, select reverse, touch the Assistant button and the car retraces its path exactly in reverse, doing its own steering while you operate the pedals. It’s designed to help people who live at the end of tight driveways, for example, or encounter a car coming the other way on a tight single-track road. A gimmick maybe, but it works surprisingly well. We’ve not experienced such a broad spread of chassis and drivetrain characteristics before either – without overegging it the 8 Series feels like two different cars depending on whether you had it set in Comfort or Sport+. The term grand tourer has for a while signified a jack-of-all-trades that is neither as comfy as a limo or fun to drive as a sports car – a big coupe hamstrung by compromise and expensive enough to be replaced by two cheaper, more focused cars. In terms of comfort and refinement, the 8 series is very impressive indeed; in terms of driving fun, its handling is very impressive on both road and track, although subjectively it’s not as fun or exciting as a more traditional GT such as an Aston Martin. 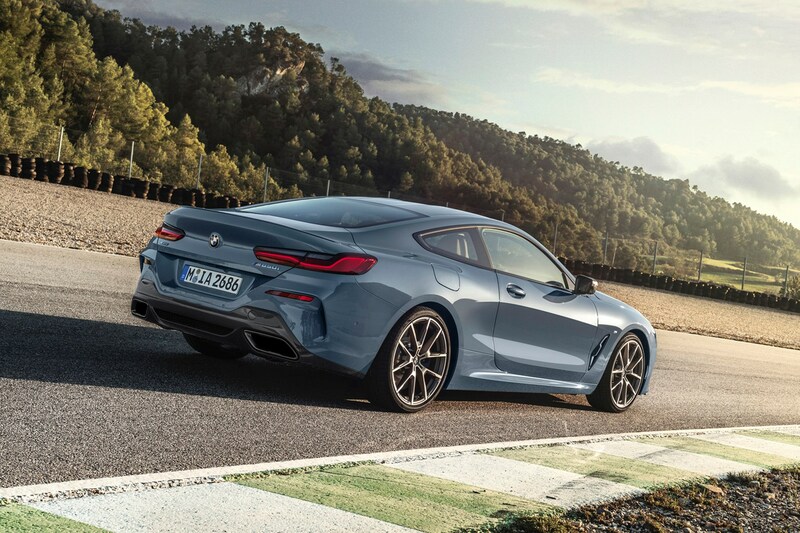 We’ll reserve final judgement until we’ve driven the car in right-hand drive configuration on British shores, but for now at least, it seems that the BMW 8 Series Coupe is a seriously multi-talented car.